Waking up at 8am, do laundry, do house cleaning, and spend times with Zoi D.
Usually, I will spend one full day at home, and use at least 5-6 hours on house chores. Women today are much challenging; despite going out to work, we still have to do most of the works at home. While cleaning our house in this morning, I thought I should find some creative ways to decorate our home. It's been a long time since I worked on house decorating, so I think it's time for us to do some freshen up our home sweet home! I browsed through hundreds of inspiring photos of home decor ideas and they all definitely inspired me on how to create a new look for our home. I have been thinking for several months of what should I do with the big piece of blank space at the stairway. Since I have so many printed photos, it would be a great idea of making a photo gallery in the stairway to show off my happy memories with my family, and also our traveling photography. 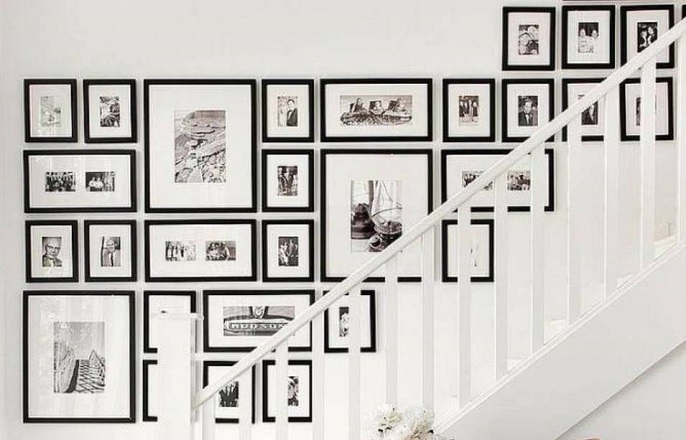 I think I would prefer minimalist picture frames with a wide variety of shapes and sizes, but all frames must be in black and white colour. Why? 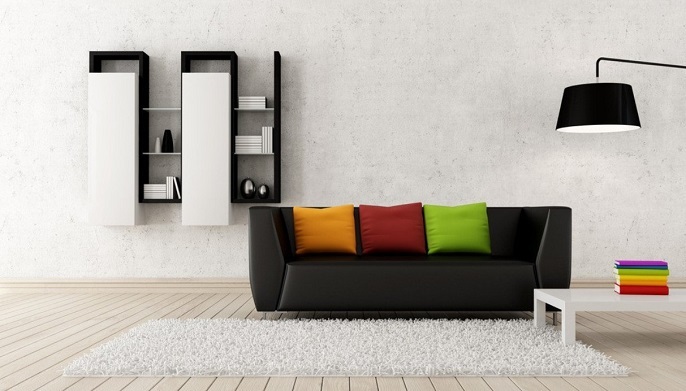 Simply because I think it would be easy to match and give a fresh feeling to the entire interior design. Before this, I always prefer to have wall painting rather than wall papering because I don't like to have complicated wall designs. But in recent years, there are so many minimalist wallpapers are available in the market, with so many options to choose from, including materials, dimensions, pricing. #yea! A simple wallpaper on the wall can help to change and transform a space to a different character. For myself, I think I will not decorate the entire house with designed wall papering, but only in the corners of the certain rooms, such as bathroom, dining room etc. I'm thinking to add wall shelves in the living room and bedrooms. Wall shelves can save a lot of valuable floor space by providing ample space to store and organize things in an appropriate place. Besides, I always think wall shelves are also one of the great solution to display our travel momentous and souveniers. There are many styles and materials of the wall shelves to match and coordinate with the furniture at home, but I will go with the wood shelves because this material is more solid and able to hold heavy stuffs. Love to have some painting inspirational quotes for our home. Imagine wake up with all the encouraging words and positive vibes, that's gonna channeling my energy into positive things to cheer me up everyday. I believe Lik will also like these beautiful paintings too! Time to change a new lighting at the dining room because the design is too old fashioned. Daily life gets to be more complicated, so I always seek for simplify things with clean lines and fresh palette. 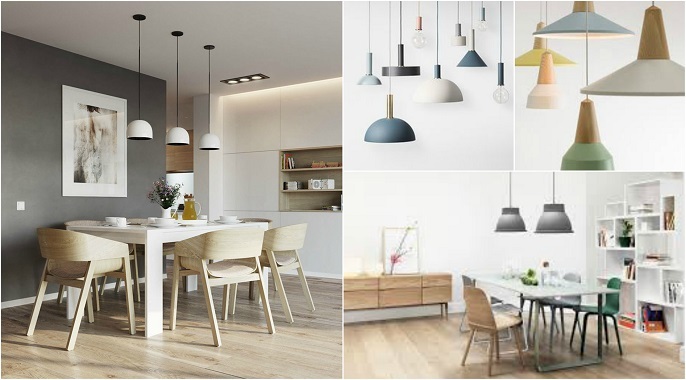 Scandinavian style is one of the design that easy to fall in love because it involves simplicity as well as minimalist design. Can't wait to light up my life by installing the beautiful lights in our dining room! Ever since I came back from Michigan, I always wanted to have carpets in my future home. In order to satisfy my desired, it's good to have one big piece of rug in the living room as well as bedroom. It would be great to have a small one under the dining table too. Well, rugs can be a good option for everyone because you will be able to clean it more thoroughly than full house carpeting. Home environment is important for everyone because that's the place where we feel truly relaxed. For me, home is the place I escape whenever I feel tired from my works. It's not just a place for me to sleep or to rest, but to feel at my most comfortable. 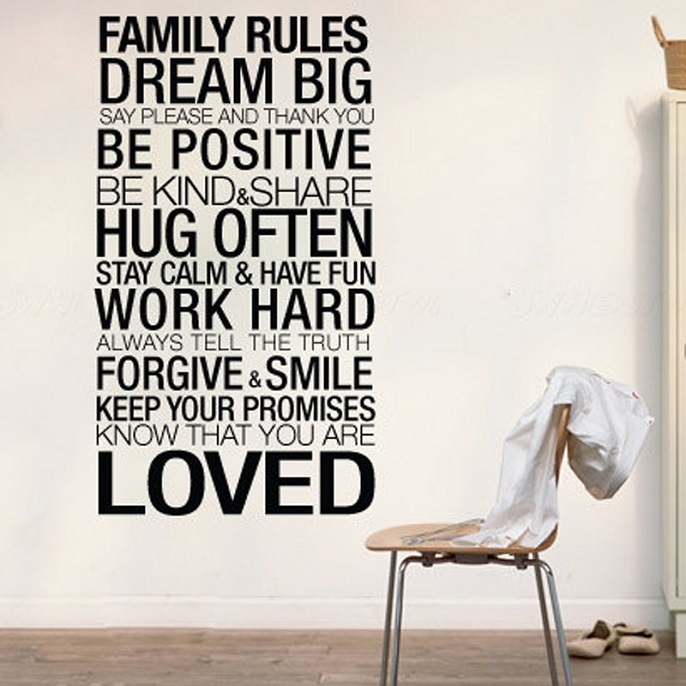 So, I think it is important to spend some times to find something you truly love for your home! Last but not least, I hope you like my sharing for today. If you have any good ideas on home decorating, do leave me your comments and I would love to know!